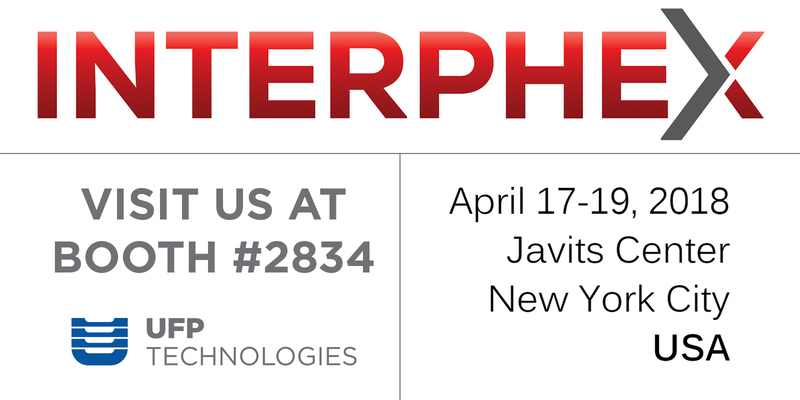 April 10 , 2018 – Newburyport, Massachusetts – UFP Technologies, a producer of innovative, custom-engineered solutions for the biopharmaceutical industry, will be exhibiting at Interphex from April 17-19 at booth #2834. BioShell® - A unique single-use bag protection system that uses suspension technology to absorb impact during storage, handling and shipping. T-Tubes® - An advanced pipe insulation system designed specifically for cleanroom environments that saves space, protects personnel, and is easy to install. Tri-Covers® - A high purity foam cap used to block and protect sanitary ends, prevent migration, and provide impact cushioning for flex hoses, transfer panels, gas lines, and more. 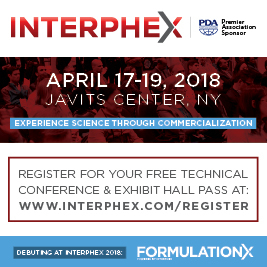 Interphex is the premier pharmaceutical, biotechnology, and medical device development and manufacturing event, showcasing the latest cutting-edge technologies and solutions. To register for the show please click here. UFP Technologies, Inc. (NASDAQ: UFPT) is a producer of innovative, custom-engineered components, specialty packaging, and products. Using foams, plastics, composites, and natural fiber materials, we design and manufacture a vast range of solutions primarily for the medical, automotive, aerospace, defense, electronics, consumer, and industrial markets. Our team acts as an extension of our customers’ in-house research, engineering and manufacturing groups, working closely with them to solve their most complex product and packaging challenges. For our customers, innovation takes many shapes. But each solution is shaped by a level of design, materials and process expertise that is unique to UFP Technologies.